There are currently 4,225 users on this website. 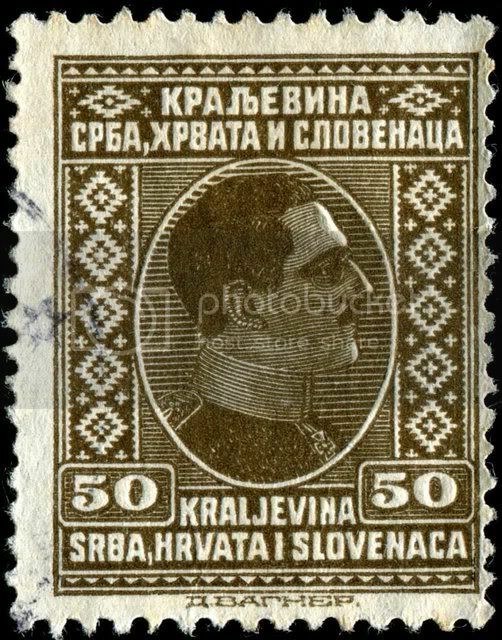 Here's an image of a typographed definitive stamp depicting a portrait of Alexander I (1888-1934), the first king of the Kingdom of Yugoslavia (1929�34) as well as the last king of the Kingdom of Serbs, Croats and Slovenes (1921�29), designed and engraved by D. Wagner (his name is printed in Cyrillic in the foot), and issued by Yugoslavia in 1926, Scott No. 42. 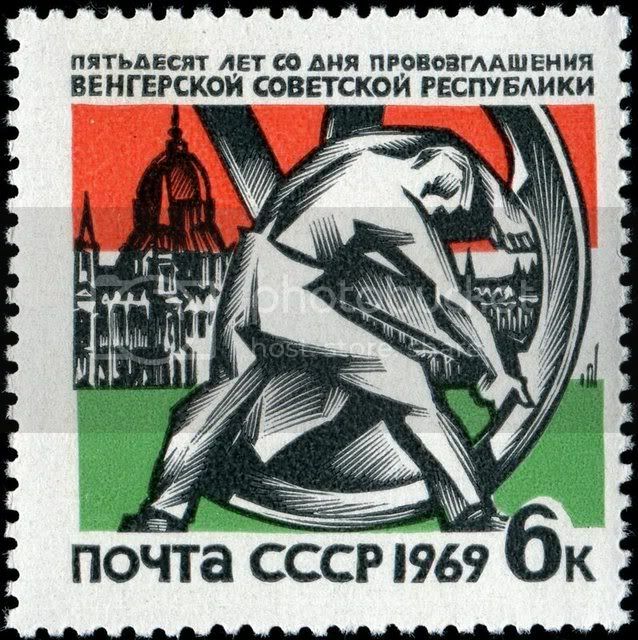 I guess I have quite a few typographed stamps, since I have a lot of used CCCP stamps like the ones posted above. Really like those Espa�a Goya stamps. Really good designs. And very engraved-like. Here are images of some old Finland coats of arms stamps printed by typography. 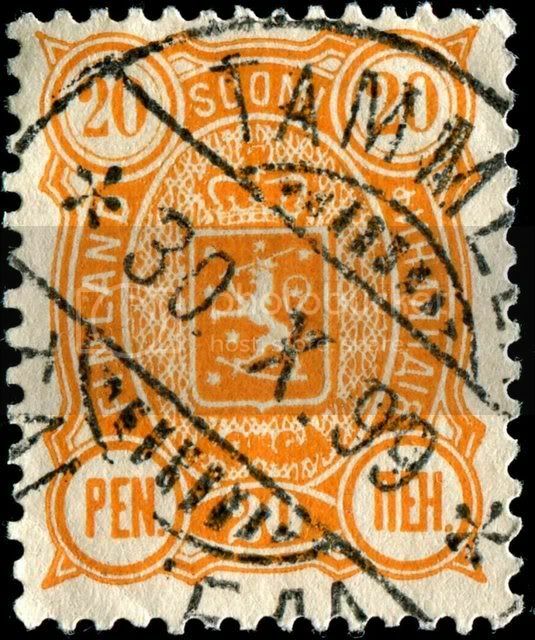 Finland coat of arms, first issued in 1885, Scott No. 33. 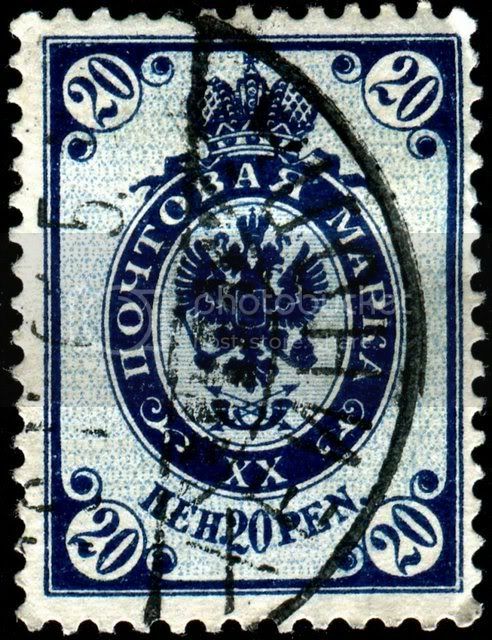 Imperial Russia coat of arms, first issued in 1891, Scott No. 51. 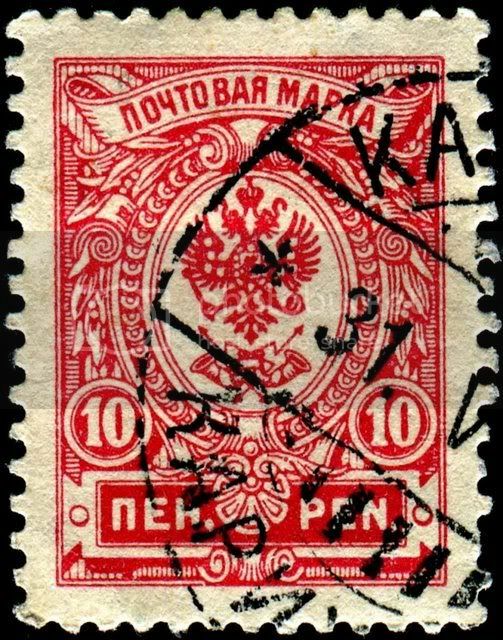 Imperial Russia coat of arms, first issued in 1911, Scott No. 79. 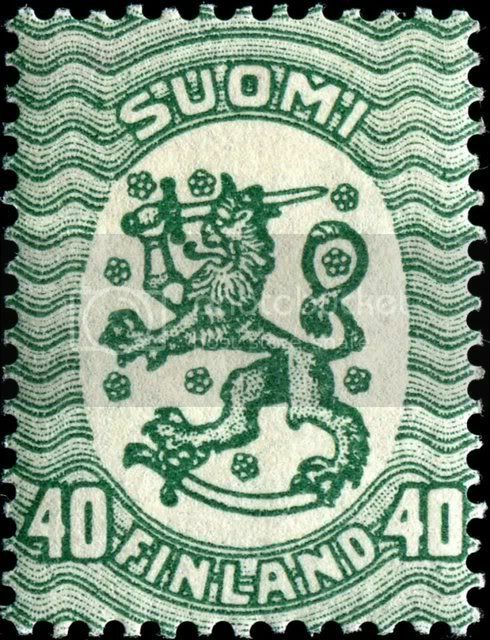 Finland coat of arms, first issued in 1929, Scott No. 95. 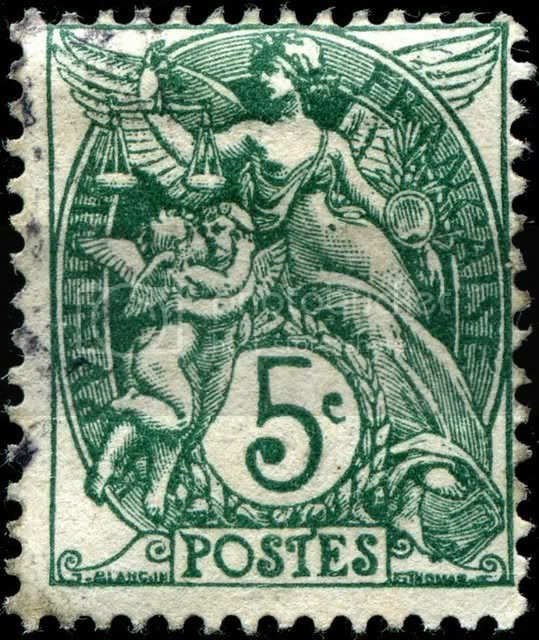 Earlier Portuguese stamps were mainly printed typography. From the Ceres definitive issues. with the imprint on the bottom. Engraved by Gustavo de Almeida Araujo. That first stamp is of a character from the poet/dramaturg (theatre writer) Gil Vicente's stories. "Auto" here, refers to Story. Vaqueiro, meaning Cowboy, or shepherd in this case. Of sheep or cows, etc. I bought some used Ceres last year. Curiosity got to me and they're pretty interesting. Didn't expect them to be so small though. 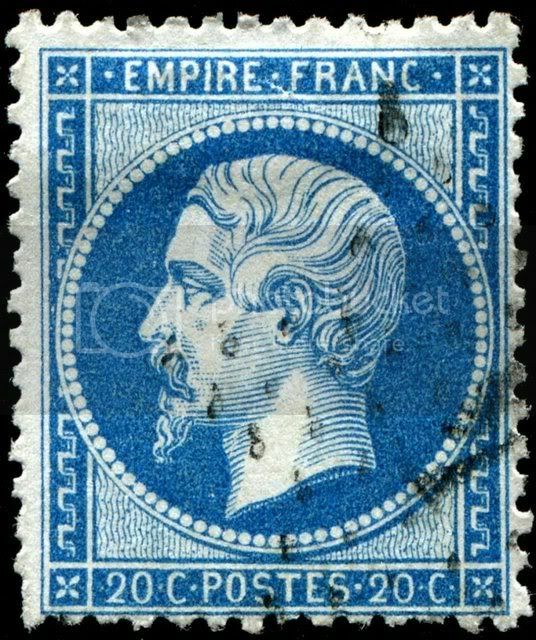 France has a long tradition of printing stamps by typography, particularly definitives. Here are images of some examples. Emperor Napoleon III, designed and engraved by D�sir�-Albert Barre (1818-1878), and first issued on December 3, 1853, Scott No. 15, Y&T No. 15. 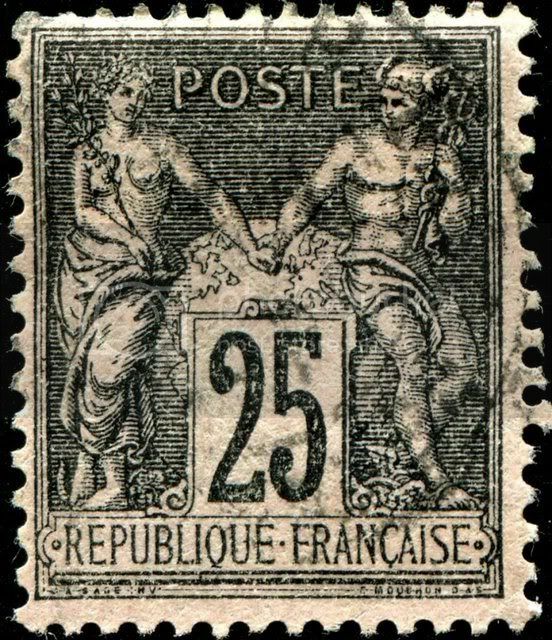 "Peace and Commerce," designed by Jules Auguste Sage (1840-1910), engraved by Louis Eug�ne Mouchon (1843-1914), and first issued in April, 1886, Scott No. 100, Y&T No. 97. "Liberty, Equality, Fraternity," designed by Paul-Joseph Blanc (1846-1904), engraved by Emile Thomas, and first issued on December 4, 1900, Scott No. 113, Y&T No. 111. 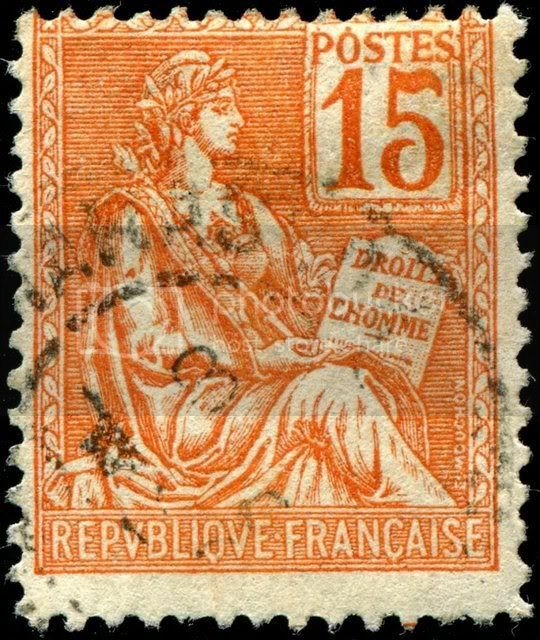 Note the reversed letter "R" error in "R�publique" on the left side of this stamp. "The Rights of Man," designed and engraved by Louis Eug�ne Mouchon, and first issued on December 4, 1900, Scott No. 117, Y&T No. 117. "Liberty and Peace," designed by Luc-Olivier Merson (1846-1920), engraved by Auguste Th�venin, and first issued on December 4, 1900, Scott No. 125, Y&T No. 121. 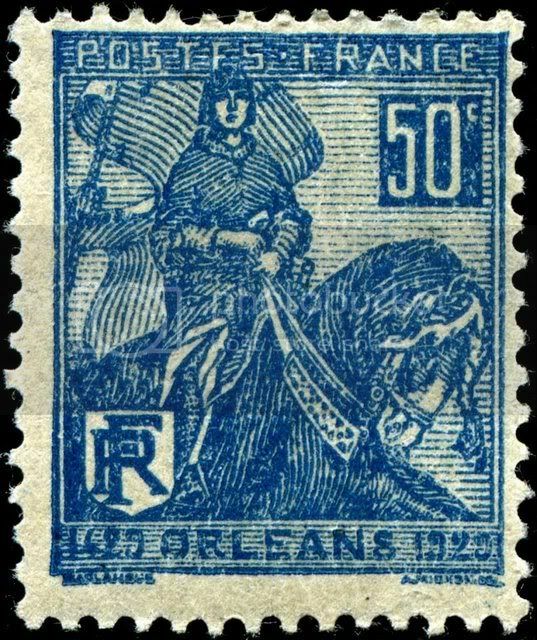 Joan of Arc, designed by Gabriel-Antoine Barlangue (1874-1956), engraved by Abel Mignon (1861-1936), and issued on March 11, 1929 to commemorate the 500th anniversary of the relief of Orleans, Scott No. 245, Y&T No. 257. Jules-Jacques Puyplat (1843-1915) was a French engraver and illustrator, working primarily for popular newspapers of the day, including Le Mus�e universel, Le Magasin pittoresque, and Le Monde illustr�. 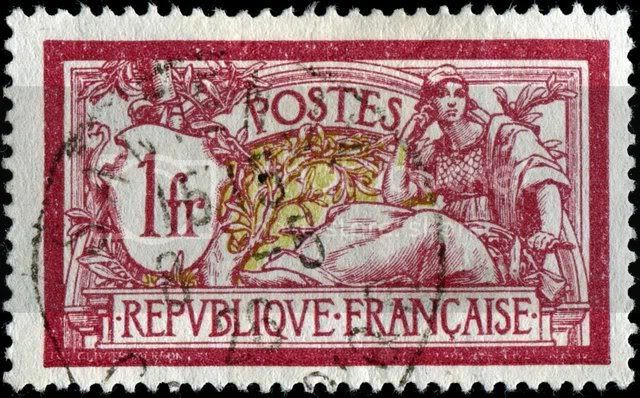 Puyplat also engraved a number of stamps, printed by typography, and issued for use in (former) French colonies. 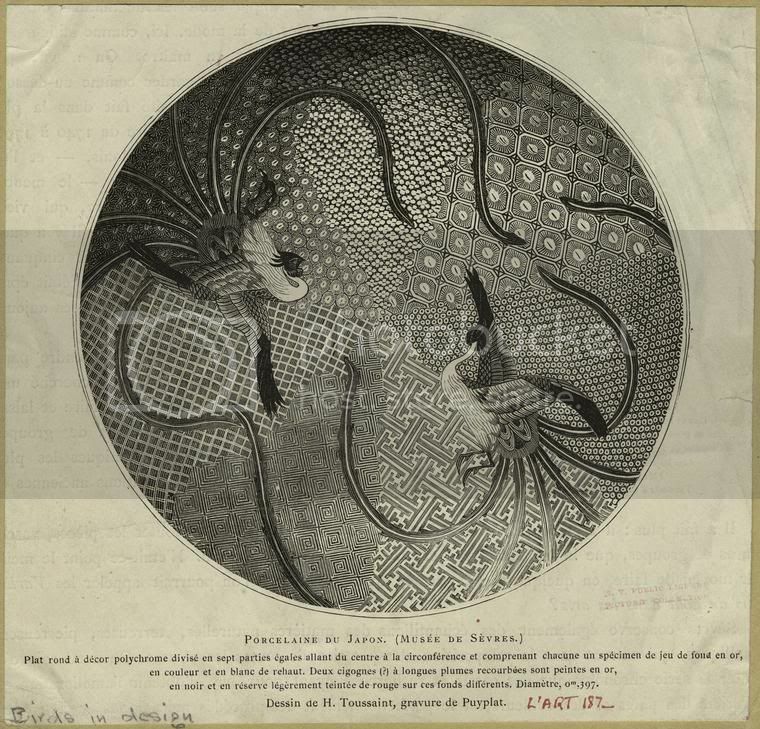 Here are images of several of his works, plus an engraving he did of a Japanese porcelain plate. 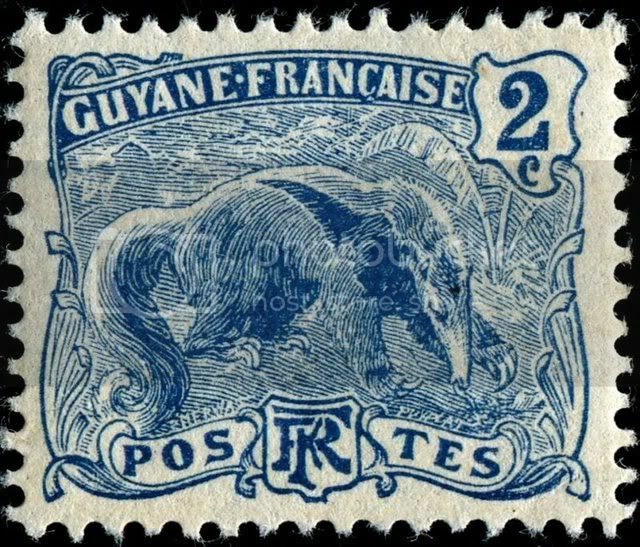 Great anteater, designed by French-Polish painter Paul Merwart (1855-1902), and issued for use in French Guiana in December, 1904, Scott No. 52. 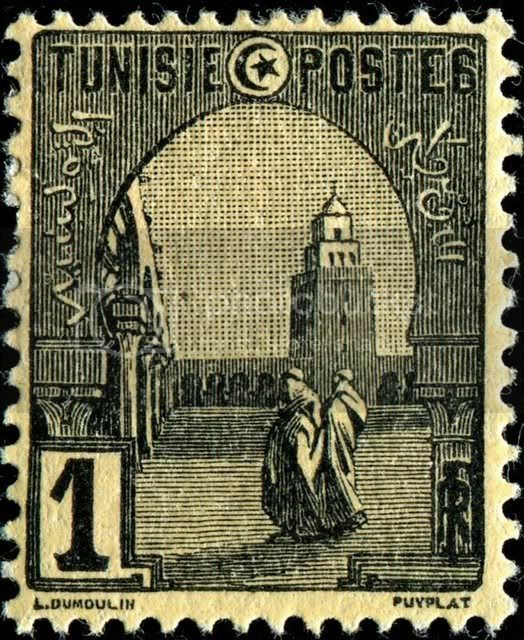 Mosque at Kairouan, designed by French artist and painter Louis-Jules Dumoulin (1860-1924), and issued for use in Tunisia in 1906, Scott No. 29. 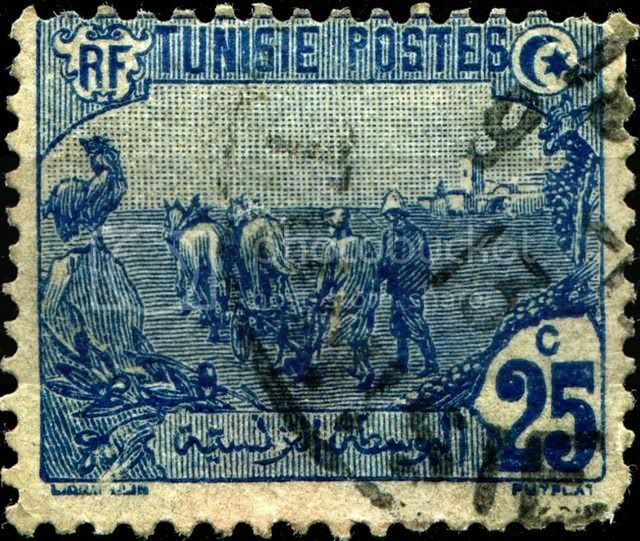 Plowing, designed by Louis-Jules Dumoulin, and issued for use in Tunisia in 1906. 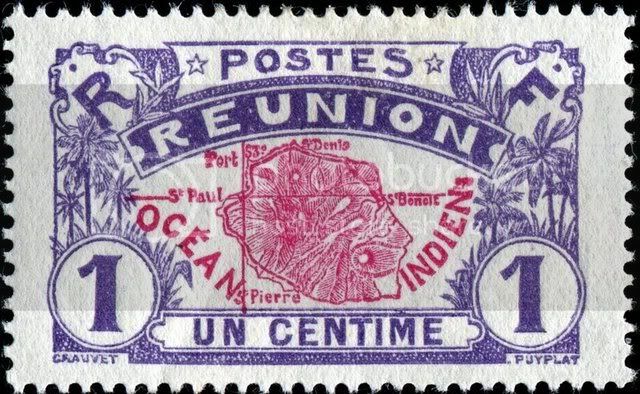 Map of island, designed by French etcher and illustrator Jules Adolphe Chauvet (1828-1905), and issued for use in Reunion in 1907, Scott No. 60. 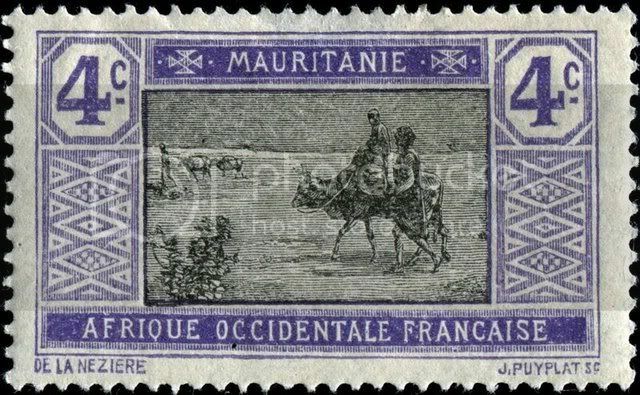 Merchants crossing desert, designed by French painter Joseph de la N�zi�re (1873-1944), and issued for use in Mauritania in 1913, Scott No. 20. Japanese porcelain, book illustration designed by French painter Henri Toussaint (1849-1911). Here is an image of "Shoulder to the Wheel," after a sculpture (1948-49) by Hungarian artist Zsigmond Kisfaludi-Strobl (1884-1975), at the Hungarian Parliament Building, Budapest, die engraved by Anatoly Ivanovich Kalashnikov (1930-2007), printed by typography, and issued by Russia (USSR) on March 21, 1969 to celebrate the 50th anniversary of the Hungarian Soviet Republic, Scott No. 3576, Zagorski No. 3652. 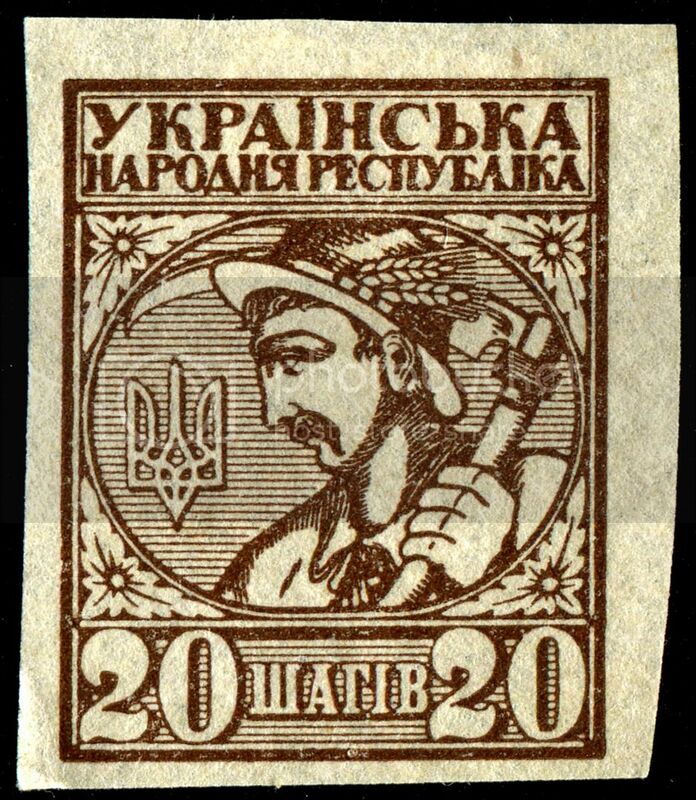 Here is an image of a definitive stamp depicting a Ukrainian peasant and the Republic's trident emblem, printed by typography, and issued by Ukraine in July, 1918 during its brief period of independence as the Ukrainian National Republic between the collapse of the Russian Empire in 1917 and its occupation by Soviet forces in 1920, Scott No. 2. Fisherman, definitive stamp designed by C.J. 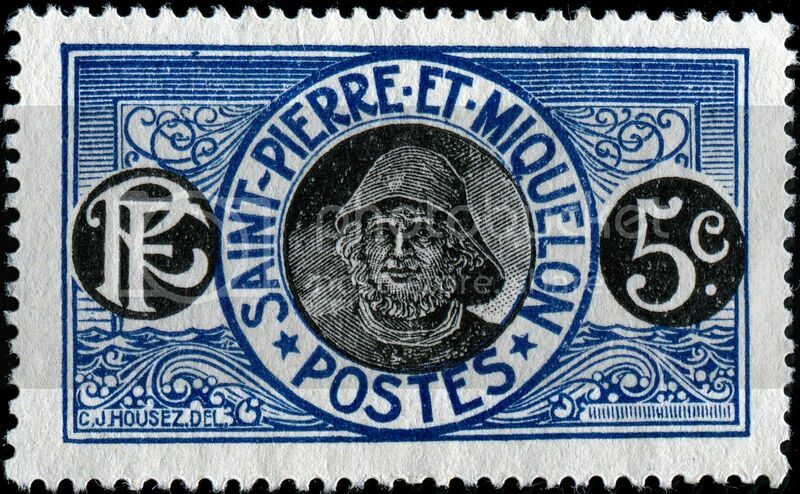 Housez, printed by typography, and issued for use in Saint Pierre & Miquelon in 1922, Scott No. 83, SG No. 139. Mr. Sarmiento, photo and litho. 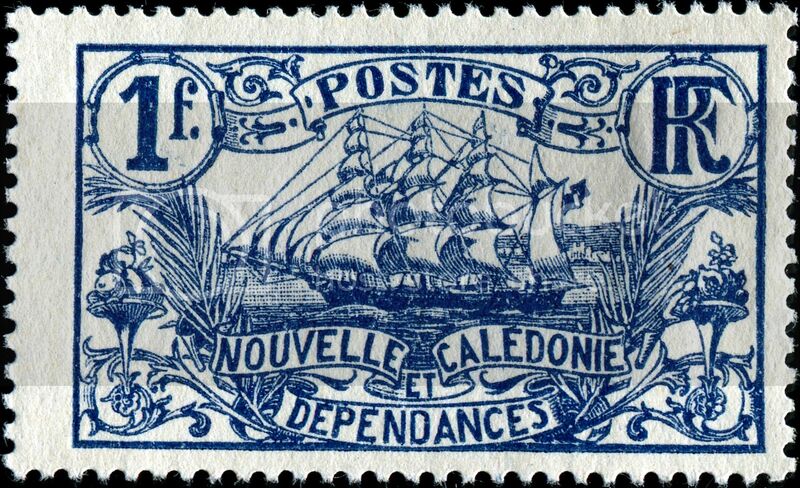 Here is an image of a definitive stamp depicting a sailing ship, designed by French artist Henri �mile Vollet (1861-1945), engraved by Jules-Jacques Puyplat, printed by typography, and first issued for use in New Caledonia in 1925, Scott No. 114, SG No. 166. 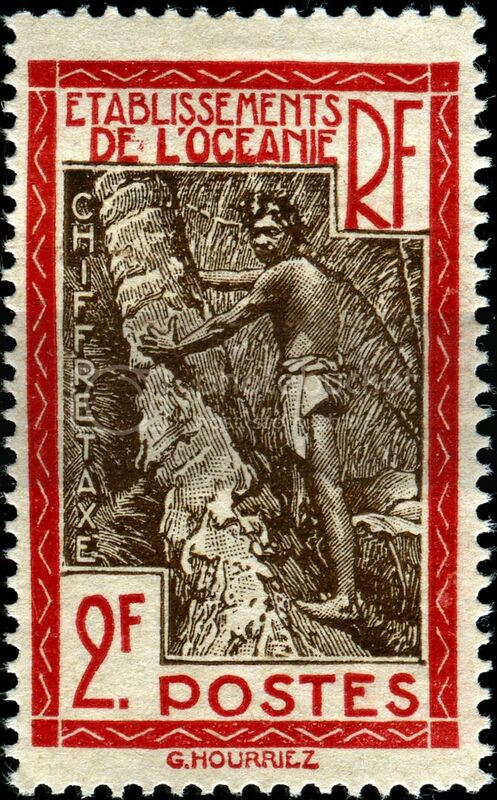 Tahitian (or Maori) youth, postage due stamp designed by French artist Roger Marcel Limouse (1894-1990), engraved by Georges Hourriez (1878-1953), printed by typography, and issued for use in French Polynesia (Oceanic Settlements) on October 14, 1929, Scott No. J16, SG No. D16.